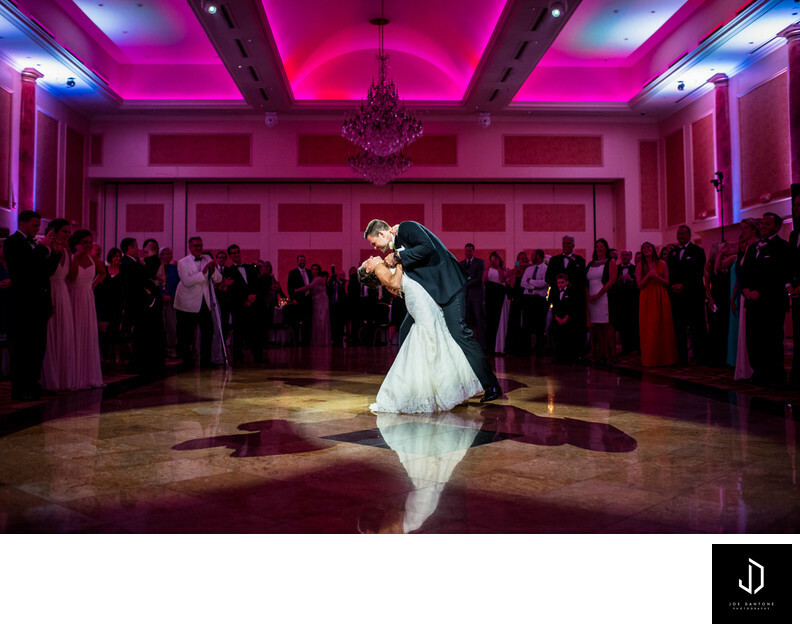 Featured here is a first dance photo from a wedding at The Merion in Cinnaminson, New Jersey. This bride and groom had their first dance and just before the finish, the stars aligned, they were in the exact center of the dance floor and I was in the perfect position to be able to capture this moment. The Merion Wedding Venue in South Jersey has multiple beautiful wedding ballrooms. The Merion is home of the famous Skylight Ballroom that has a massive glass dome over the center of the dance floor. This ballroom here is called the Palazzo Ballroom which includes a beautiful grand marble hallway where a good portion of the cocktail hour happens. 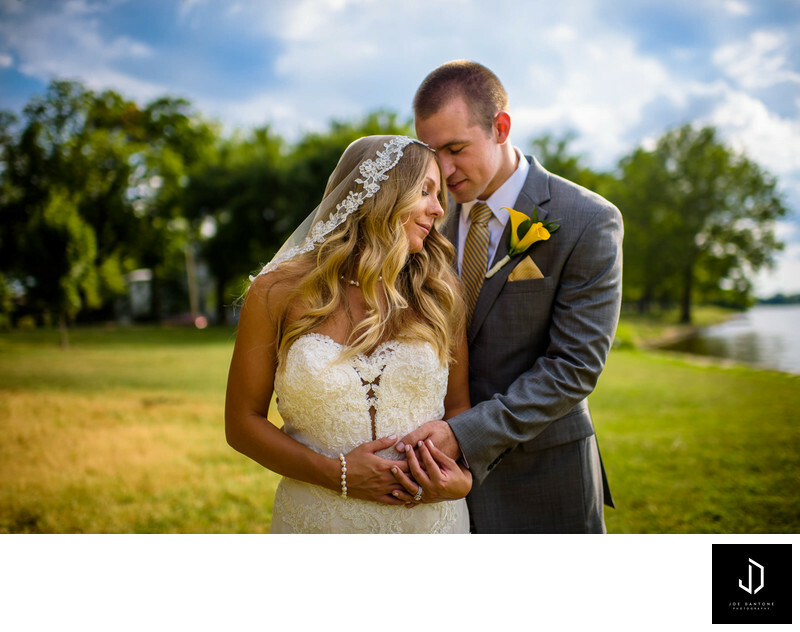 The best part of The Merion Wedding Venue is that its not your "typical" wedding venue. Although there are multiple ballrooms inside, you would never know there was another wedding happening. Location: 1301 Route 130 South, Cinnaminson, NJ 08077.